Fittings To Suit Timber Casement Style Windows. Kirkpatrick Mallable Iron Black Reversible Casement Fastener. 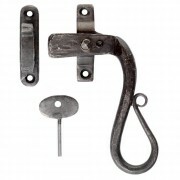 To suit timber windows Available with either hook or mortice plate .. 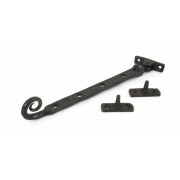 This Kirkpatrick Black Antique Casement Fastener is Handed for left hand and right hand opening windows. 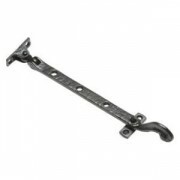 Supplied with one key per lock which screws a small lug into the casting to lock the window. 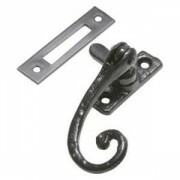 To determine the handing,Windows Opening Outwards, when the window HINGES from the RI..
Kirkpatrick Mallable Iron Black Reversible Casement Fastener. 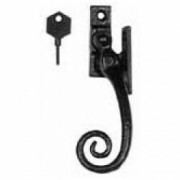 To suit wooden windows Available with either hook or mortice plate ..
A solid malleable iron window fastener, with traditional curly tail detailing. 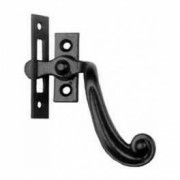 This window handle is quite smooth surfaced and coated in a matt black baked on finish.Supplied with a Mortice Plate only. 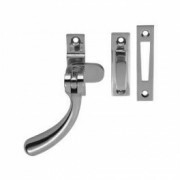 Suitable for Left or Right hand opening windows. 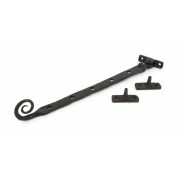 ..
A traditional window stay from Kirkpatrick made of solid malleable black iron in a smooth finish The end of the window stay features period detailing. Supplied with pins and woodscrews. 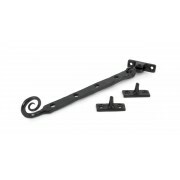 Available in 3 sizes 203mm 250mm 300mm ..
A traditional window stay from Kirkpatrick made of solid malleable black iron in a smooth finish The end of the window stay features period detailing. 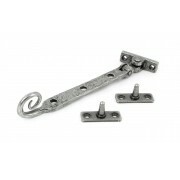 Supplied with pins and woodscrews. 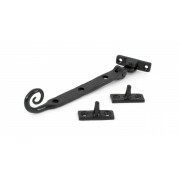 Available in 3 sizes 228mm 279mm 330mm ..
Kirkpatrick 905 Mallable Iron Black Casement Stay Crook End Detailing comes with 2 pins and fixing screws 254mm long ..
Carlisle Brass Ludlow Foundries Beeswax Finish Locking Shepherds Crook Casement Fastener 125mm. Please note this product is handed. 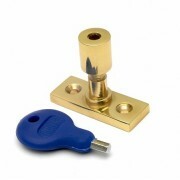 (Right hand shown) ..
Carlisle Brass Bulb End Window Fastener Polished Brass. 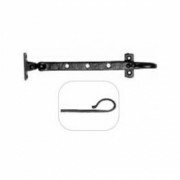 It comes complete with the two types of keep hook and mortice plate (pictured) which are compatible with different window casement design. Suitable for weather stripped windows. Length 98mm. ..
Carlisle Brass Bulb End Casement Fastener Comes complete with both hook and mortice plates. Suitable for weather stripped windows. 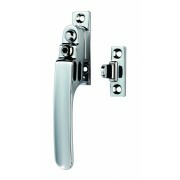 Available Polished or Satin Chrome 98mm long .. 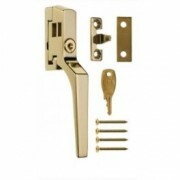 ERA 808 LOCKING WINDOW HANDLE BRASSED c/w Cut Key To suit most Wooden Casement Windows The Mechanism allows the window to be fully closed locked or partial open for ventilation Handle 139mm o/a .. 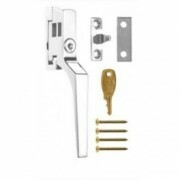 ERA 808 Locking Window Handle White c/w Cut Key To suit most Wooden Casement Windows The mechanism allows the window to be fully closed locked or partial open for ventilation Handle is 139mm o/a ..
Carlisle Brass Locking Casement Fastener with Nightvent. 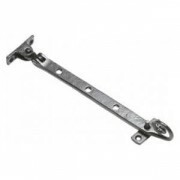 Suitable for weather stripped windows. 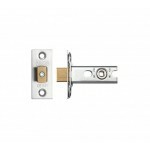 Available in three finishes Polished Brass, Polished Chrome or Satin Chrome ..
Carlisle Brass Locking Casement Stay PIn 40 x 15mm Plate, 35mm high. 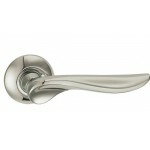 Available in three finishes Polished Brass, Polished Chrome or Satin Chrome .. 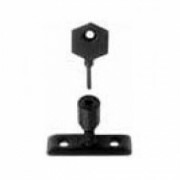 This simple device replaces a pivot from a standard Kirkpatrick Casement Stay. The Window can then be locked when open or shut. 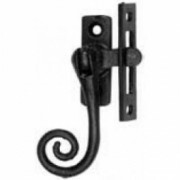 ..
Pewter Monkeytail design handmade casement stay Overall length 228mm, Fixing plate 57x16mm ..
Beeswax Monkeytail design handmade casement stay Overall length 228mm, Fixing plate 57x16mm ..
Black Monkeytail design handmade casement stay Overall length 228mm, Fixing plate 57x16mm ..
Pewter Monkeytail design handmade casement stay Overall length 267mm, Fixing plate 57x16mm ..
Beeswax Monkeytail design handmade casement stay Overall length 267mm, Fixing plate 57x16mm ..
Black Monkeytail design handmade casement stay Overall length 267mm, Fixing plate 57x16mm ..
Pewter Monkeytail design handmade casement stay Overall length 317mm, Fixing plate 57x16mm ..
Beeswax Monkeytail design handmade casement stay Overall length 317mm, Fixing plate 57x16mm ..
Black Monkeytail design handmade casement stay Overall length 317mm, Fixing plate 57x16mm ..